Another meek performance in losing for the fifth time this season in midweek to Juventus has put Jose Mourinho’s position as Manchester United manager back in peril ahead of in-form Everton’s visit to Old Trafford on Sunday. On a run of just one win in seven games in all competitions, United already look out of the title race, nine points adrift of Manchester City and Liverpool, but are also in danger of missing out on the top four with Chelsea, Arsenal and Tottenham also just two points off the top. There is the chance for United to make up some ground as Tottenham host City on Monday, but Liverpool, Chelsea and Arsenal will be confident of maintaining their strong starts to the season against struggling Cardiff, Burnley and Crystal Palace respectively. In Mourinho’s prime he once went 151 games across four different clubs without losing a home league match between 2002 and 2011. That seems a long time ago now with the Portuguese coach running out of excuses for failing to turn around United’s faltering fortunes. 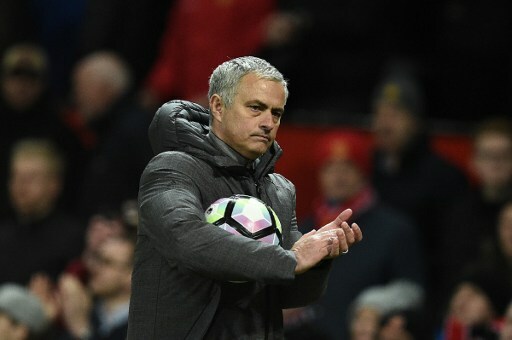 After being outclassed by the Italian champions, Mourinho’s men have now won just two of their seven games at Old Trafford and only edged past Leicester and Newcastle by the odd goal in their two victories. Everton have moved above United in the table with three straight wins after a slow start in adapting to life under Marco Silva. Silva changed the game with his three substitutes Ademola Lookman, Dominic Calvert-Lewin and Cenk Tosun combining for the two late goals to beat Crystal Palace last weekend. Mourinho, by contrast, didn’t make a single change to try and disrupt Juventus’ flow in midweek. Right now it is Everton’s Portuguese coach that looks the more special. City boss Pep Guardiola revealed his love of music in a wide-ranging interview with the BBC on Thursday and will be hoping his side hit the right notes again at Wembley on Monday. The champions bounced back from a rare run of three defeats to outclass Spurs 3-1 at the home of English football last season and two of Guardiola’s greatest ever triumphs also came at Wembley in winning the European Cup as a player and coach with Barcelona. City have also lifted the League Cup and Community Shield at Wembley this year. The two sides had drastically different weeks in the Champions League with a draw at PSV virtually ending Spurs’ hopes of making the last 16, while City produced what Guardiola described as the best first-half performance of his reign in easing past Shakhtar Donetsk 3-0. Spurs have held onto City and Liverpool’s coat tails in recent weeks despite not hitting top form in narrow wins over Brighton, Huddersfield, Cardiff and West Ham to make their best ever start to a Premier League season. Inflicting City’s first domestic defeat of the campaign to leapfrog Guardiola’s men is a far tougher test, but is just the sort of lift Spurs need to cure the European hangover of Eindhoven. After Mourinho, Newcastle’s Rafael Benitez and Southampton boss Mark Hughes lead the betting as the two Premier League managers who should most fear the sack. Rooted to the bottom of the table with just two points from their opening nine games, time is running out for Benitez, even if the Newcastle support remains largely behind the Spaniard with their ire aimed at frugal owner Mike Ashley. If anything should give the Magpies hope, it is Southampton’s awful home record. The Saints have won just once in the league at St. Mary’s since November last year and, like their opponents this weekend, are desperately short on goals with both sides scoring just six times in nine games.